arki_lab has contributed to the renewal of Istedgade with a collage that envisions the urban atmosphere of the new Istedgade. This collage is a result of our collaboration with the City of Copenhagen (Københavns Kommune) as the main driver of this redevelopment project. It captures the diverse everyday life of the New Istedgade, with optimized space for pedestrians, cyclists, public transport and mixed-use features. Furthermore, as our contribution this visual represents a new way of communicating a longterm renewal projects, as envisioned by the the citizens and stakeholders. 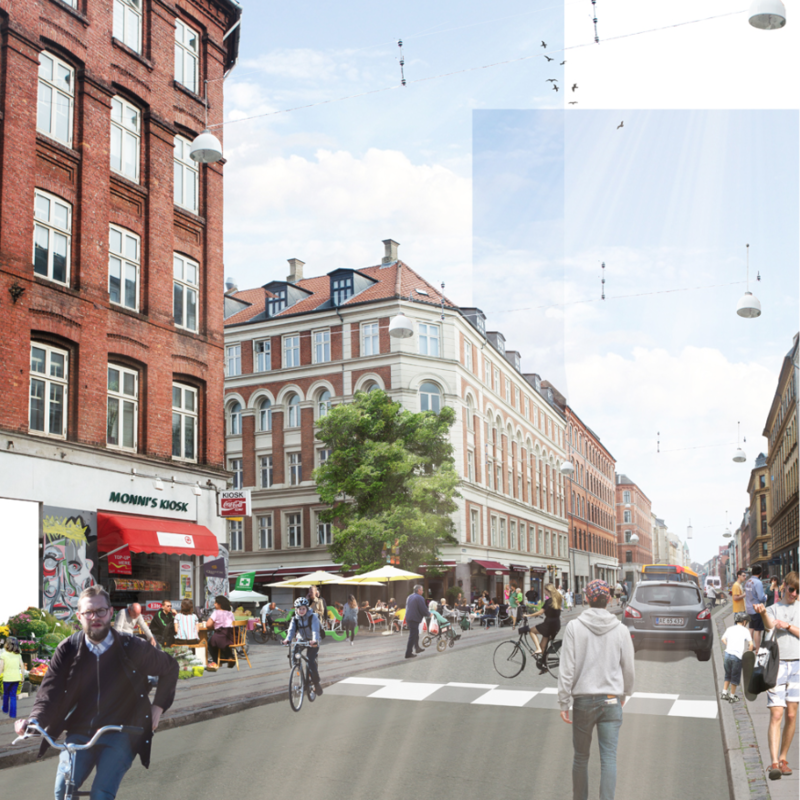 The renewal of Istedgade will be completed by the end of this year. For more information, head over to Københavns Kommune website.